Using a new high-capacity Kingston flash drive, I have discovered a reproducible bug affecting PCs with Acronis Drive Monitor. When copying large (eg 2GB) files OFF (but not to) the flash drive, the copy frequently fails with the bizarre error: "An unexpected error is keeping you from moving the file. 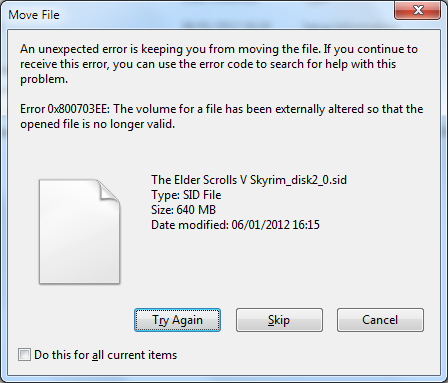 ... 0x800703EE: The volume for a file has been externally altered so that the opened file is no longer valid." 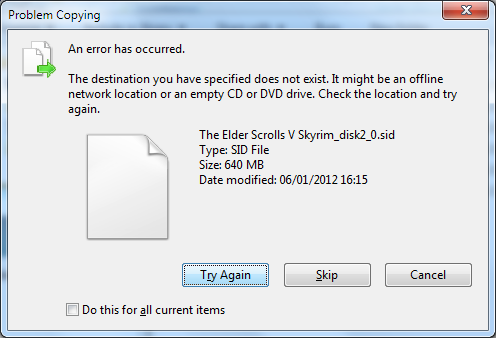 This is followed by the error: "The destination you have specified does not exist." Also, flash drive access intermittently hangs for a number of seconds and event log errors 51 and 11 are logged from source Disk (controller error). This affects Windows 7 machines - both x86 and x64 and both AMD and Intel based but does not appear to affect Windows XP. Uninstalling Acronis Drive Monitor causes the problem to go away and reinstalling it causes it to come back.